Lex Corwin, founder and CEO of Stone Road Farms, gave away free yoga classes and got invaluable customer data. Tell us how you got into the cannabis business. While attending college, I started working on a small family-owned medical cannabis cooperative in northern Oregon. I learned the basics of growing and working with the plant. With this knowledge and money saved from my years working in Oregon, I purchased a farm in Northern California. Once cannabis legalization went through, I knew I needed to build a brand. The days of shady, back room deals were coming to a close and the cannabis industry had a deficit of mature, upscale brands. I recruited the lead designer of Snoop Dogg’s “Leafs by Snoop” line and flew her out to the farm to capture the natural beauty for our packaging. What is Stone Road Farms? We are a pre-roll company that puts an emphasis on transparency, consistent quality, and upscale branding. We use the highest possible quality, Grade-A flower in all of our products. We also hand-roll our joints ensuring each one is virtually perfect. A Stone Road joint goes through three stages of quality control and is lab-tested twice before reaching the consumer. What did you do to differentiate Stone Road from the competition? I knew I had to create a unique aspect to the brand so I recruited a childhood friend to build out the ‘Stone Road’ rewards app -- available on IOS and Android. This platform allows us to offer our customers tickets to cannabis-friendly yoga classes in Venice, Hollywood Bowl tickets, even surf lessons. The updated app also now has a full product guide plus a find-a-store feature. The app saved the business -- being able to access the data from our biggest supporters allowed us to discover that 78 percent of all app scans were from women, and more importantly, they were from two shops! 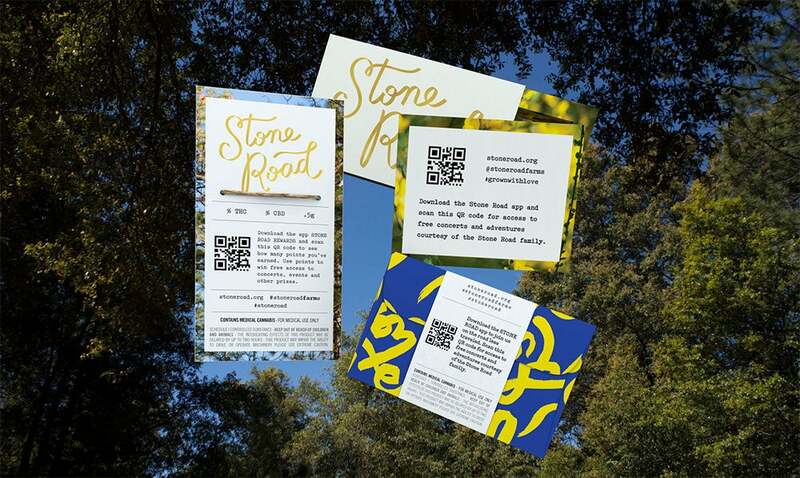 I altered Stone Road’s brand identity to match the new information we gleaned from the app data. We started sponsoring every and any women-run, women-focused, or women-branded event. And soon this strategy worked. Our sales took off and now my biggest focus and challenge is rapid production, ramping without sacrificing the Stone Road quality. What was one of the toughest challenges you faced in your business and how did you overcome it? Choosing business partners. Both of my former partners left the company within the first six months for various reasons. My advice to people starting a business: Be very cautious when choosing a partner . A start-up partnership means you are going to be with this person 12 to 16 hours a day every day. You not only have to get along, but you have to be sure you communicate well. Most major business disagreements I had stemmed from a lack of communication. I overcame this challenge by putting in a ridiculous amount of work. Eighteen-hour days for weeks on end. Doing literally every job myself from managing the farm, rolling the joints, producing digital and promo content, managing the social media, keeping all the books and all legal compliance, all the while spending every day trying to open new accounts! It was grueling, but when the noise of the world gets too loud you have to just lower your head and continue. It’s supposed to be hard. If it was easy everyone would be their own boss. How do you get people to buy into your mission? Transparency and trust. Be honest with investors about what you plan to do with their investment. The same group of 8 to 12 individuals in my life fund virtually all of my ventures. Some have been losers. But some are now incredibly successful. One of my good friends and another successful young entrepreneur always tells his investors, “I will do whatever is best for the business. No matter what.” And he is true to his word. He fired his best friend. Was it terrible? I’m sure. But at the end of the day you have to stay true to your word and if someone isn’t pulling their weight plus some, you have to find someone else. Also, most good investors invest in the team and not the product. A product can change. It’s really hard to change a team. Also, you have to put in your own money. Money talks. I don’t raise money for firms I don’t personally have equity in. While analytical thinking and collaborative decision making is super important, you have to trust your gut. Sometimes you’re right. Most times you’re not. But each experience and each failure is a learning opportunity. Each day I apply lessons I learn in one business to another one of my businesses. For example, everyone told me not to invest in “Light Phone,” a Brooklyn-based telecom startup that is creating a credit-card sized social-media free phone with a 5-day battery life. Even my mom, a full-blown iPhone addict, strongly suggested against investing. But I threw in a lot of money anyways and then raised far more for the company. Now we’ve built and sold our first 10,000 phones, and are working hard on creating a second-generation phone. Our manufacturing partner tasked us with raising $250k online in one month to show interest in the phone. We ended our Indiegogo with $1.71 million and over 7,000 pre-orders for a phone that is still a year away. What's the best advice u can give to people starting off in the cannabis industry? Be tough. People are mean and the business is very exclusive. It will be hard to break in. Be nimble, and know that the business changes constantly. You need to stay light on your feet to keep up. Even the biggest companies in the industry are constantly evolving and innovating. Lastly, tell us about how you created and auctioned off the world’s most expensive joint. I needed a PR stunt to get more press to my party to announce a state-wide sales campaign. I knew I wanted to create a giant, goofy, lavish joint and auction it off for charity. I couldn't get any organizations to take the money except the African Wildlife Foundation. I then enlisted Weavers, a famous joint artist, to create a giant elephant tusk rather than a normal joint. I reached out to the good people at Shine, and they donated enough 24 karat gold leaf to cover the tusk with four layers! The interior contents were all donated, too. Soilgrown Solventless donated some of their Cannabis Cup-winning Rosin, and Team Elite Genetics donated some of their 2018 Cannabis Cup-winning flower. Overall, we raised over $4,000 for the African Wildlife Foundation’s new anti-poaching campaign. He Fought for Marijuana Legalization at Age 13. Now He's Reaping the Rewards.